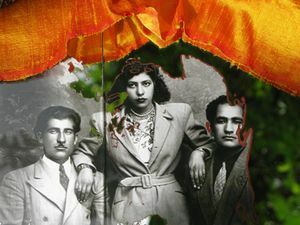 A self taught photographer, Rana Javadi has worked since 1989 as the Director of Photo and Pictorial Studies at the Cultural Research Bureau in Tehran. 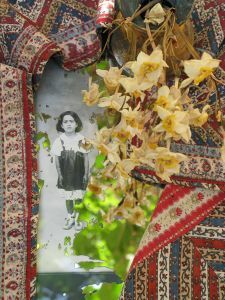 She is also a member of the editorial board of Aksnameh (a quarterly journal of photography) and also from 1997 to 1999 the founding member of of Akskhaneh Shahr, the first museum of photography in Iran. 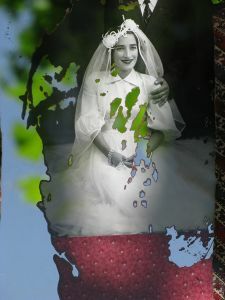 Since 1979 she has participated in both national and international exhibitions. 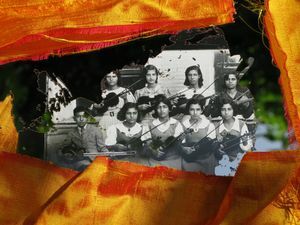 The most recent are : Group exhibition "Recent Self Portrait", Silk Road Gallery, June 2010 ; Paris- Photo 2010, Carousel du Louvre ; Group exhibition "165 years of Iranian photography", Quai Branly museum, paris september 2009 ; Solo show at Golestan gallery, October, 2008 ; "Lion Under the Rainbow, Art from Tehran", group exhibition, parallel plan of Art Athens 2008. 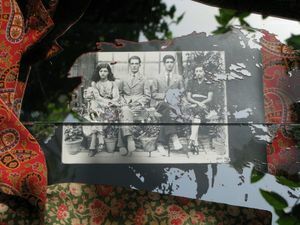 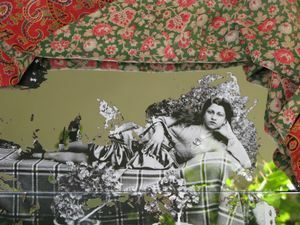 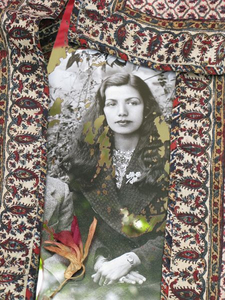 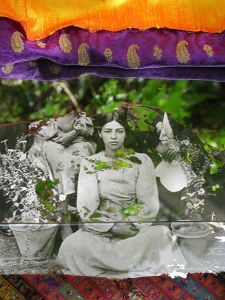 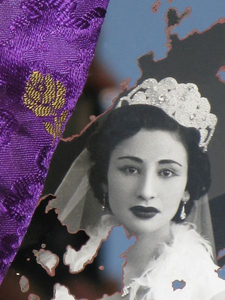 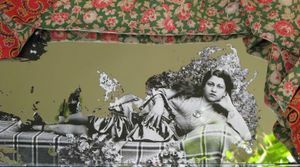 In this series of work, Rana Javadi starts with old photographs from a famous Iranian photography studio, and then layers them with vintage fabrics, dying flowers and tarnished mirrors — creating a nostalgic tribute to a bygone era of easy living in Iran.